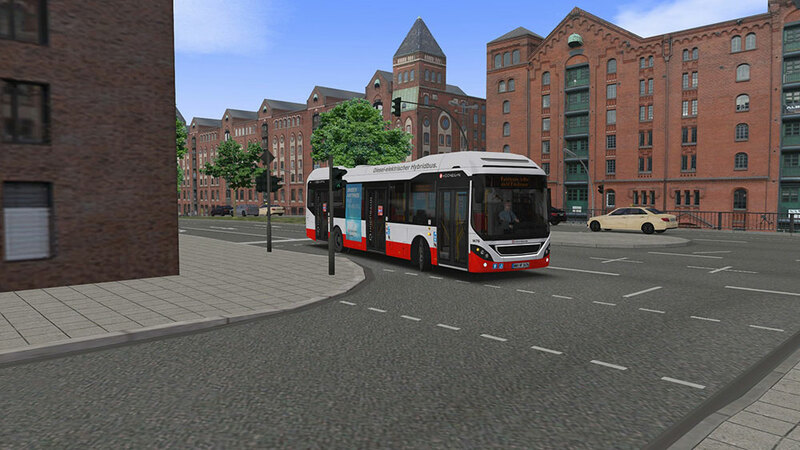 Product information "OMSI 2 Add-on HafenCity - Hamburg modern"
Start you journey at the Elbe and discover the piers, Elbe philharmonic orchestra, cathedral in St. Pauli and other attractions of Hamburg. 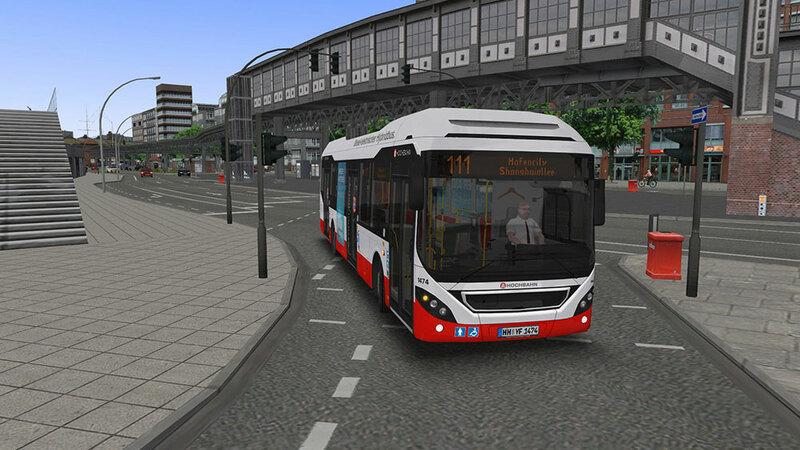 Don’t forget to take the diversion on Sundays since the route will be blocked for the fish market! 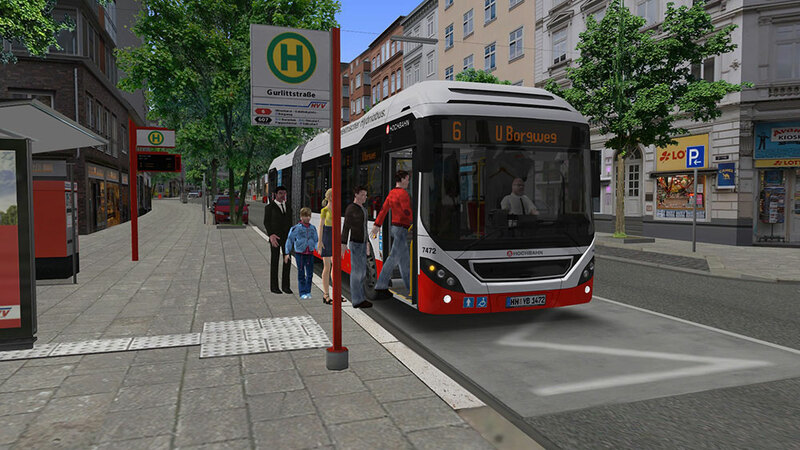 Especially the new lines 6 and 111 offer more variety with 18.6 km (11,6 mi) of new route and more than 50 bus stops. 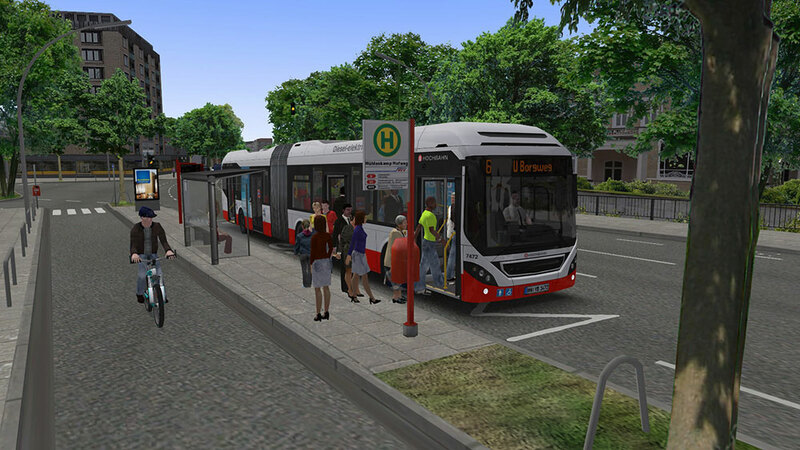 Due to the various routings, there are a total of 7 terminal stops with different driving and resting times. 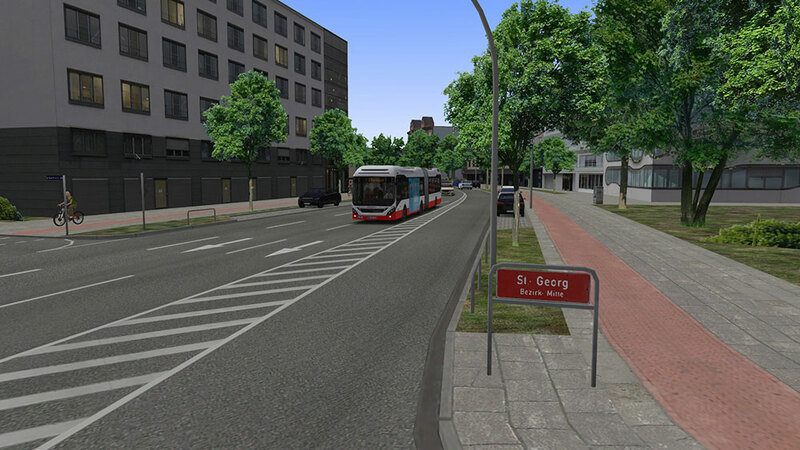 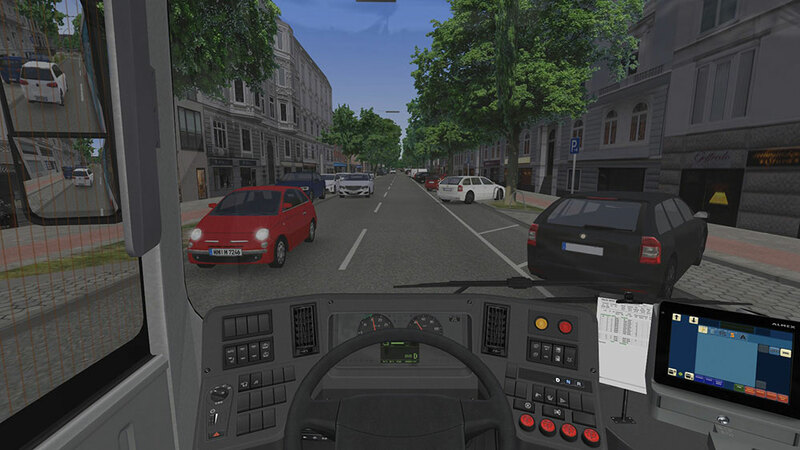 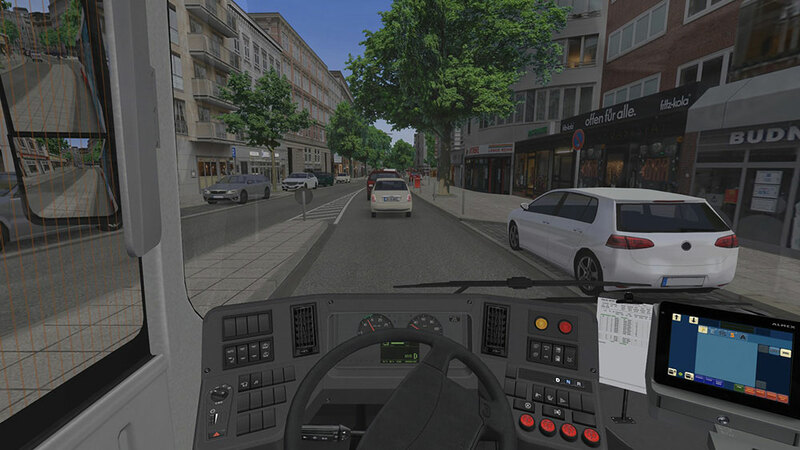 Owners of the add-on “Hamburg Day and Night” can seamlessly drive on the well-known lines 109 and 688, meaning you can freely operate between 4 lines and the new, faithfully built depot with interactive objects. 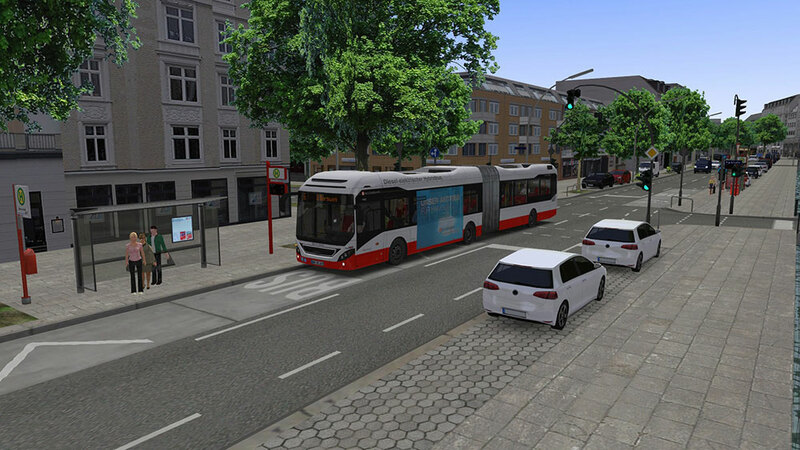 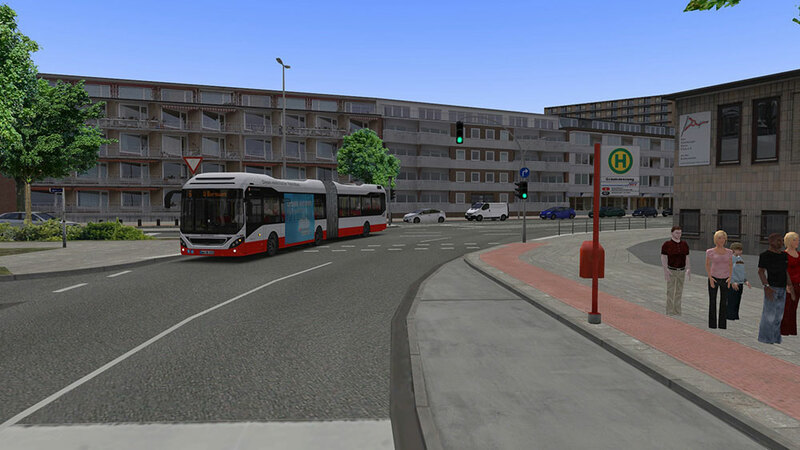 The bus types 7900 L and 7900 LH included in this add-on were accurately recreated based on the original buses in Hamburg. 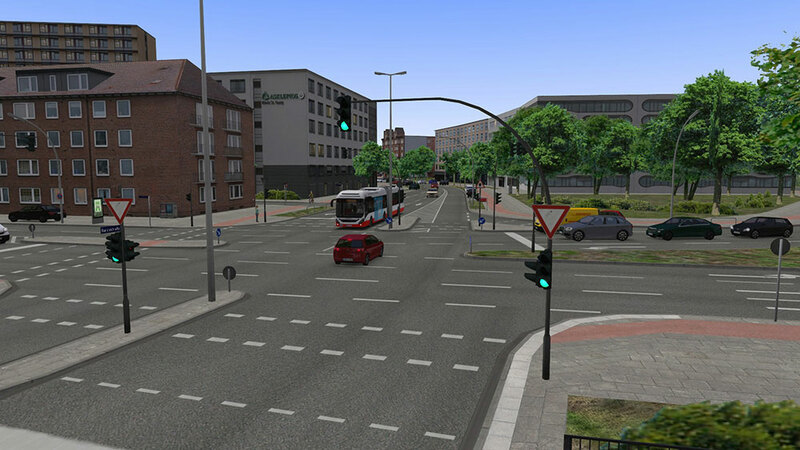 Besides corresponding paintings and many new sounds, they offer a fully functional model of a parallel hybrid engine in OMSI. 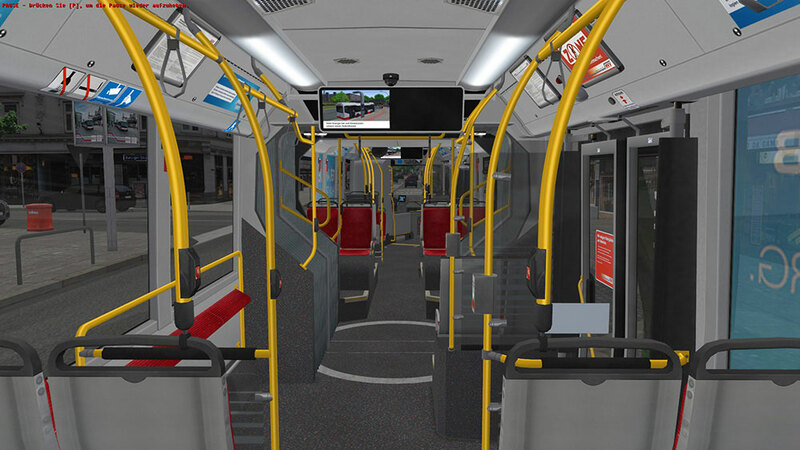 Travel time profiles and schedules are available for every ride based in the original ones. 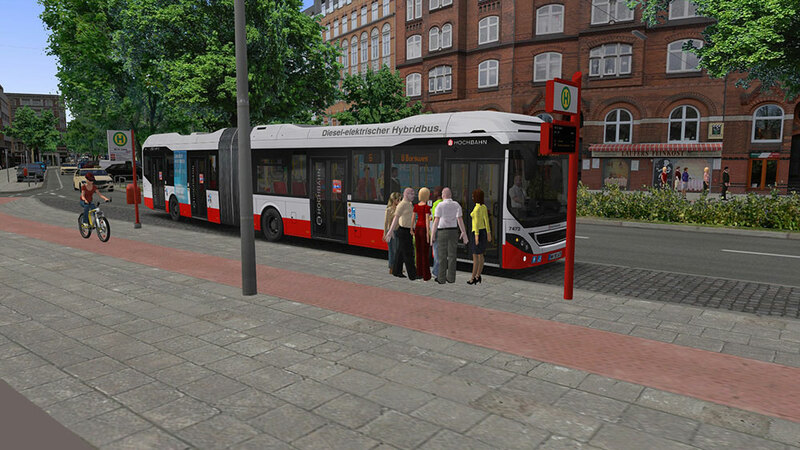 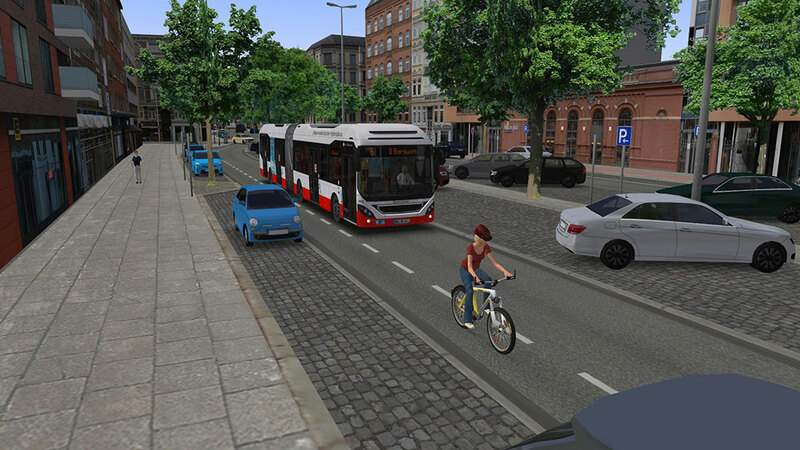 New fares, payment methods and passenger voices appropriate for the timeframe of the simulation are included as well. 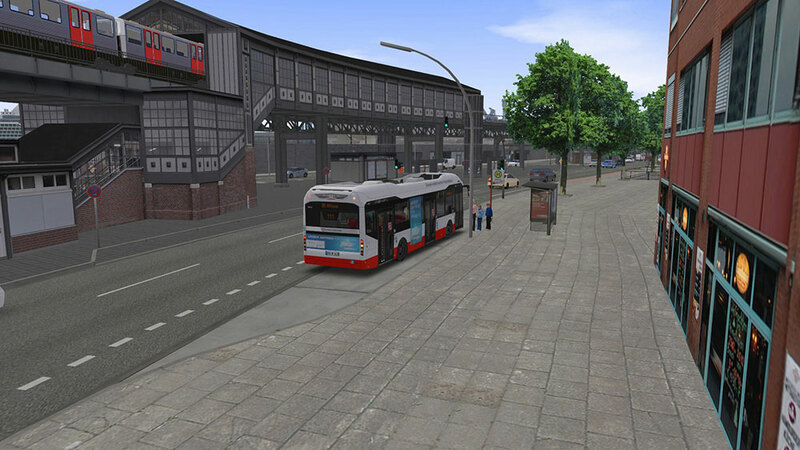 New, modern AI vehicles, detailed train models and ships help create an all around authentic scenery. 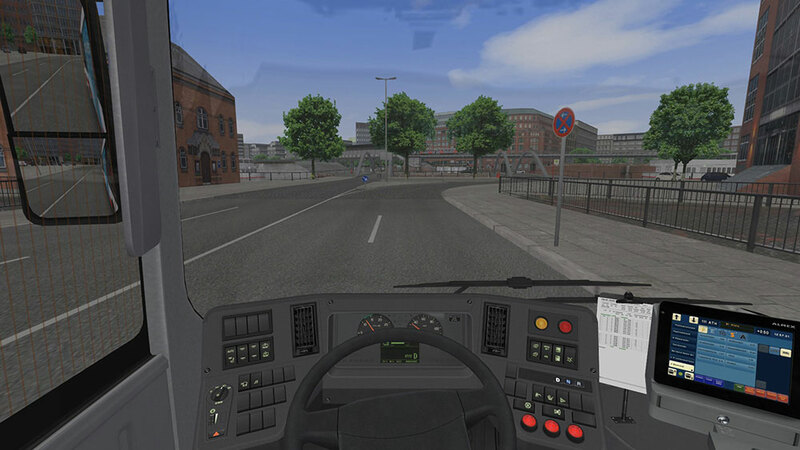 Hamburg’s attractions like ships in the harbour, fish market and “Dom” funfair. 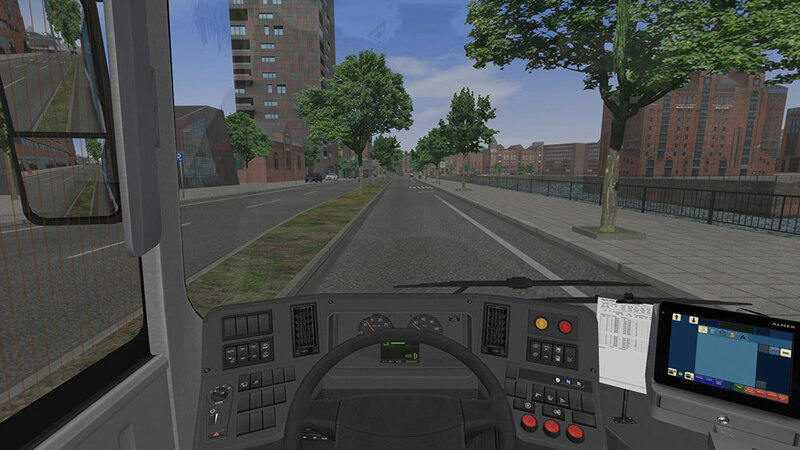 Detailed scenery with functional passenger displays, street signs etc. 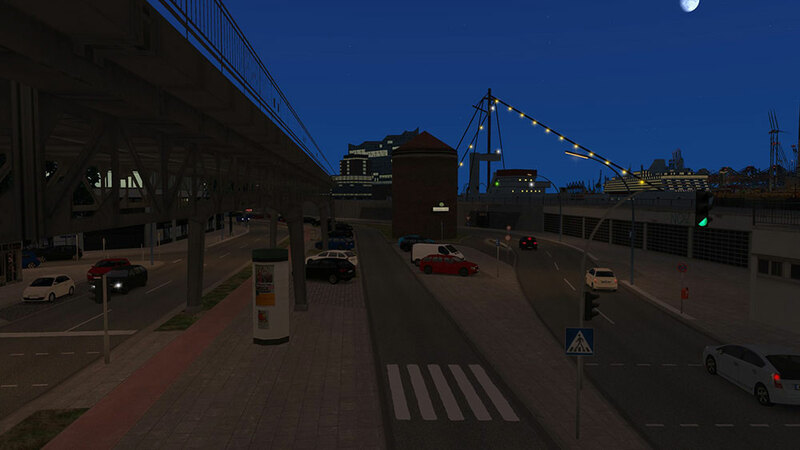 Related links to "OMSI 2 Add-on HafenCity - Hamburg modern"